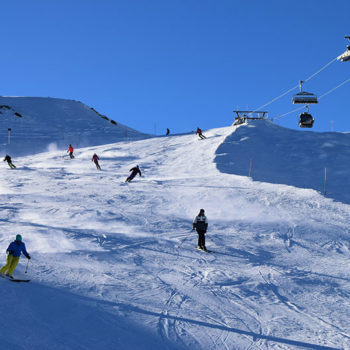 Kitzsteinhorn is primarily a skiing paradise. Nonetheless, the spectacular views also makes it for a great place to visit for those not keen on winter athletics. 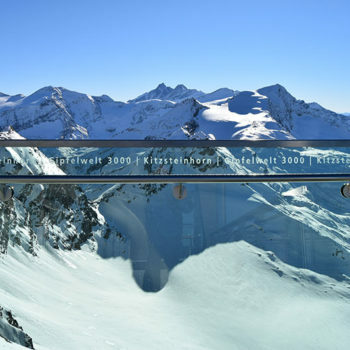 The Kitzsteinhorn is a 3203 m high mountain in the state of Salzburg, more or less in the middle of Austria. The trip to the top takes about 30-40 minutes and three separate cable cars. 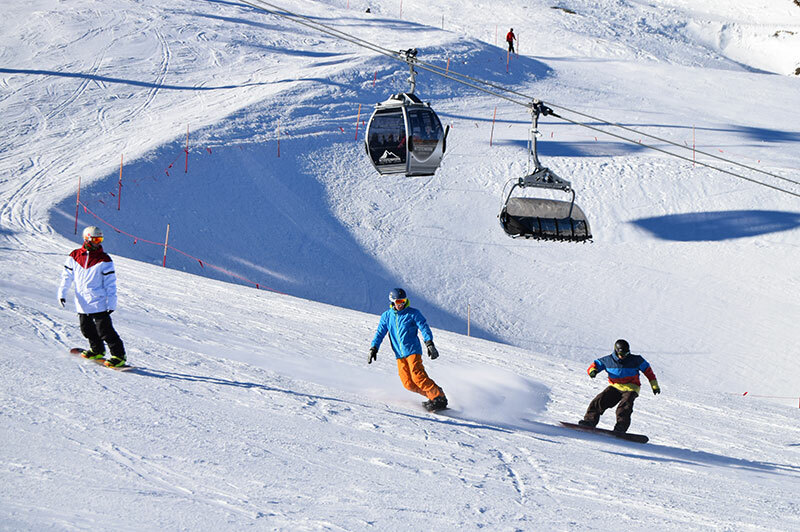 The rewards are a wide range of pistes and non-less than spectacular views from the +3000 m viewing platforms. 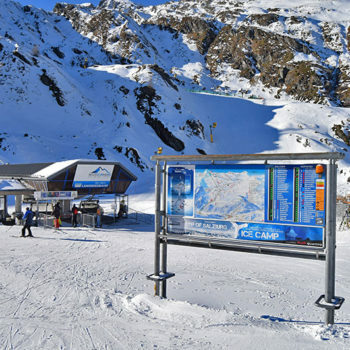 A whopping 80 kms of pistes are available if the snow conditions are good. 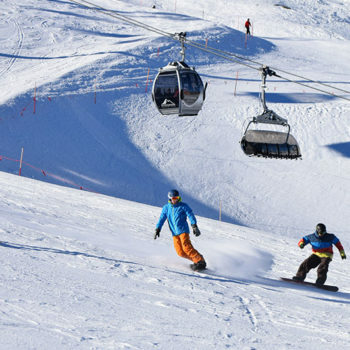 You will find pistes well suited for beginners and intermediate skiers, as well as the “Black Mamba”. 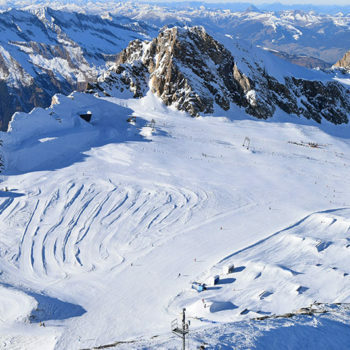 This black course drops off by insane 63 % at its steepest, and should give even the most seasoned skier a real adrenalin kick. The skiing are has three focal points. 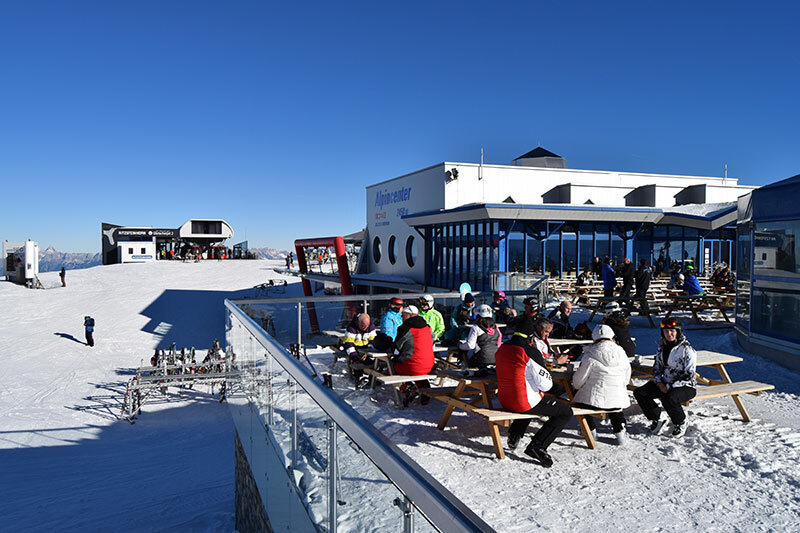 The lowest cable car and ski-lift station Langwied at 1976 m. Here you can find a restaurant, a ski-school and sport shop including ski rental. 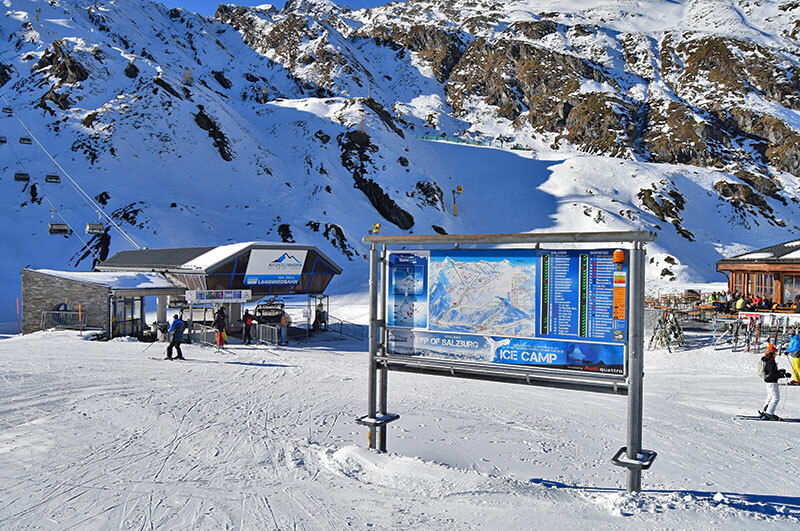 Next stop is the Alpine Center at 2450 m where you find a wide range of services to make you visit pleasant. 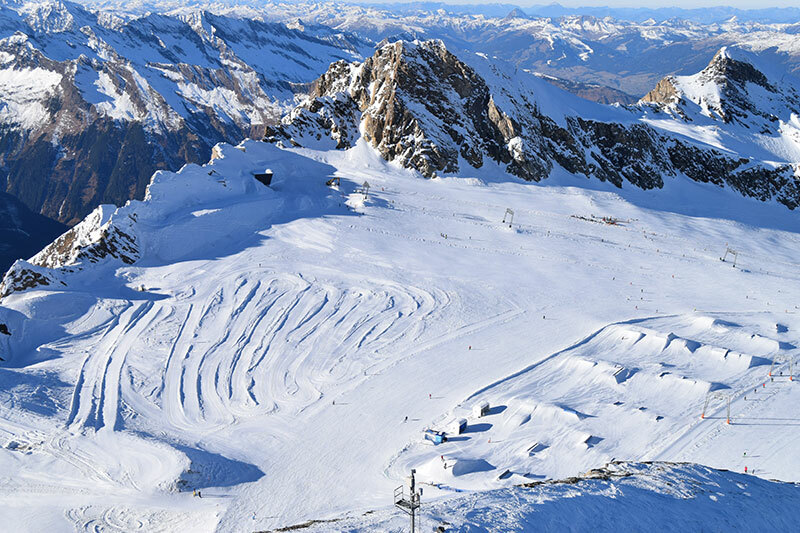 This is also Going to the summit, at about 3000m you find a snowpark for freestyle enthusiasts and a 3 km cross-country track. 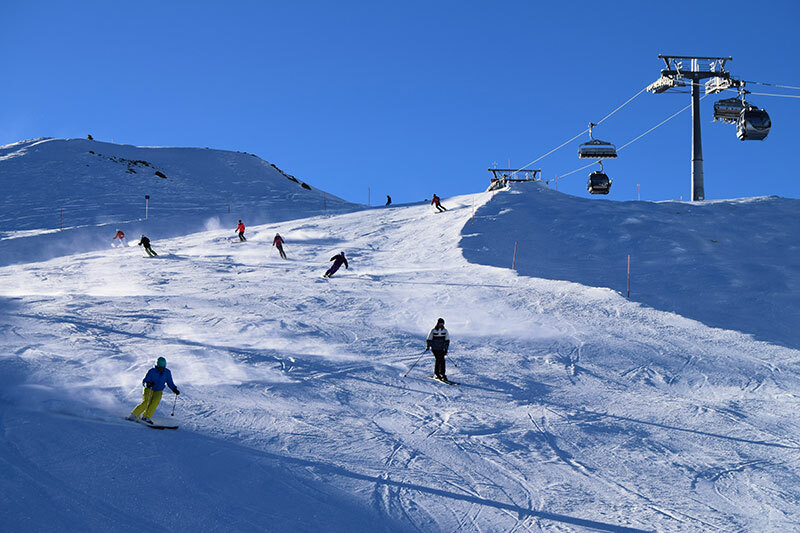 Thus, Kitzsteinhorn should make a great place for any skiing fan, no matter how you like to play. If you’re not the kind of person which loves speeding down mountains on frozen water, or come from a country where skiing on snow is not the prime leisure sport, you should still head up the mountain. Put on your warmest clothes and best winter shoes (thus no flip-flops or shorts please) and enjoy a trip into winter wonderland. 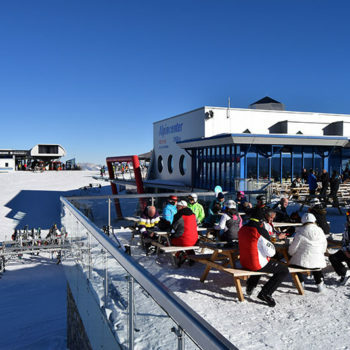 The enclosed gondola cable cars are comfertable and take you right to the summit station at 3029 m. This is easiest way to enjoy some really spectacular views of the Austrian Alps – without having to be a climber or exerting yourself – summer or winter. 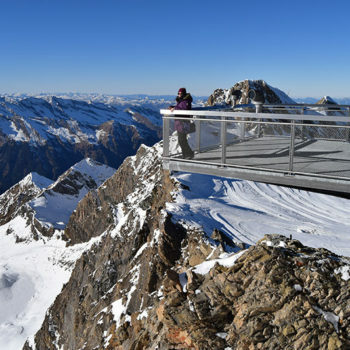 The Austrians are specialists at building spectacular viewing platforms, with the attached service stations of course. 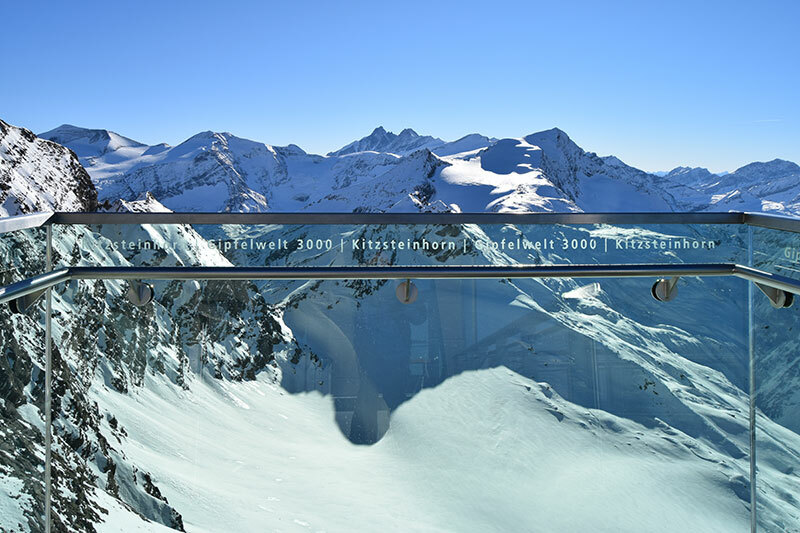 However, at Kitzsteinhorn they have taken it to another level. 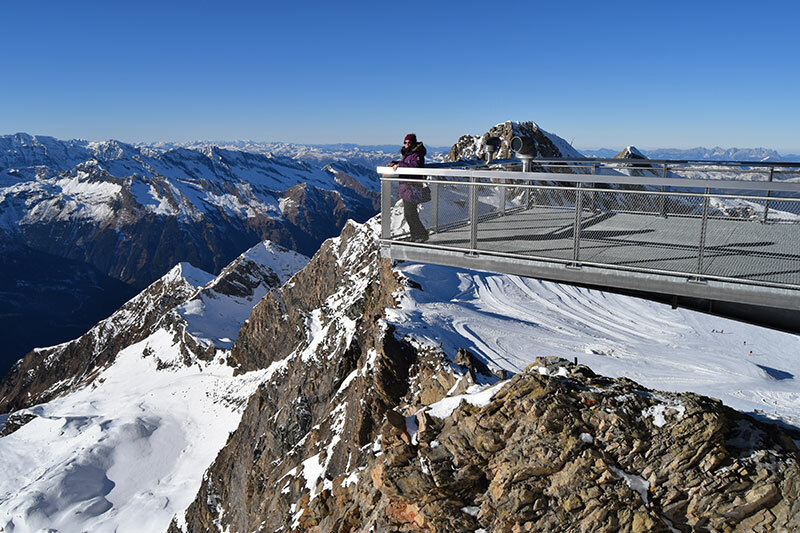 On this mountain, it’s more than just viewing platforms. 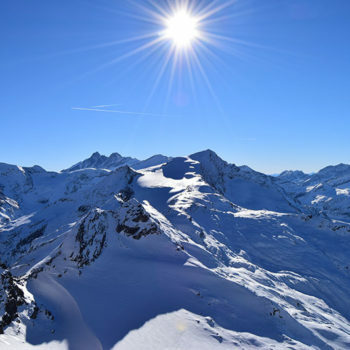 In addition to offer brilliant opportunities for some awesome selfies, you can also learn more about the Alpine nature and the mountain at your feet. 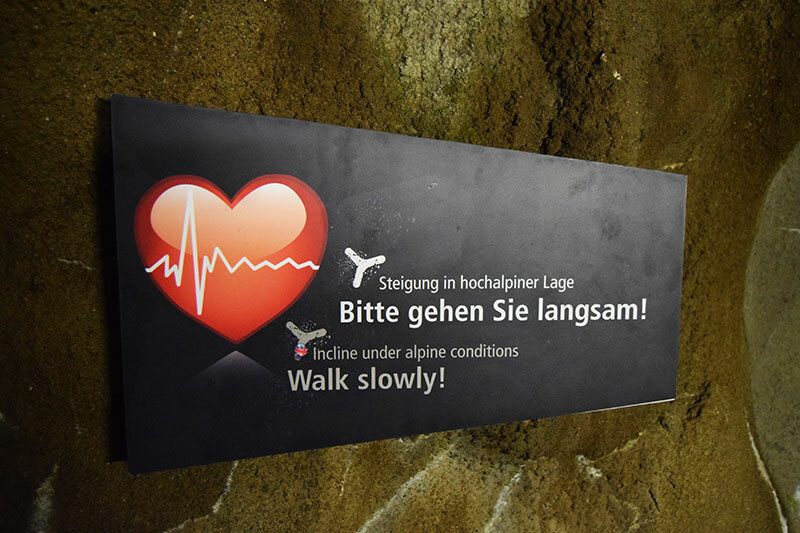 Gipfelwelt, or in English “Peak world” boasts a mix of natural museum and knowledge gallery. 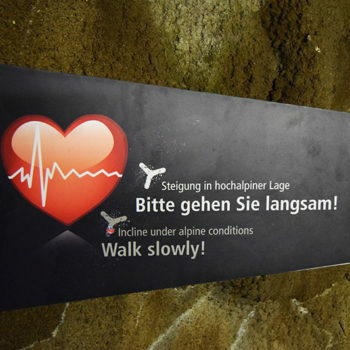 You can collect new knowledge as you walk through the tunnel through the mountain, leading from the summit station to the south side viewing platform. You can also start your tour of the mountain with a cool movie at the Cinema 3000. 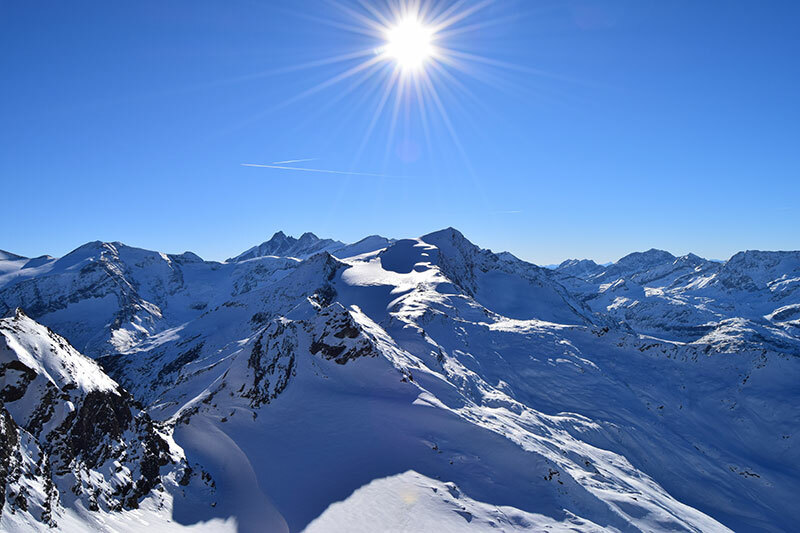 The movie gives you an great insight into the Nationalpark Hohe Tauern, the biggest nature reserve (1800 square kilometres) in the Alps.